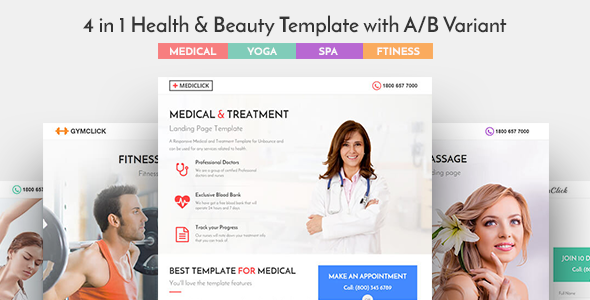 Mediclick is a multipurpose WordPress theme for Medical, Spa, Yoga & Fitness Landing and Business. Mediclick is built with the latest web technologies (Bootstrap framework, LESS, icon font, etc.) with the care of coding quality to make sure the theme works with all browsers and all devices.